Prettau® Zirconia – world class aesthetics and uncompromising strength. 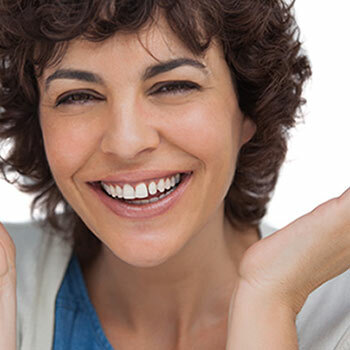 We are proud to be the only dentistry in Southwest Florida to offer this fantastic restoration option for dental implants, including implant bridges, hybrid bridges, and full mouth rehabilitations. Dental restorations can repair damaged teeth and replace missing teeth, improving your dental functionality, and your appearance. Some of the most commonly used restorations include dental crowns, bridges, and dentures. In the past, patients did not have a choice of materials for their dental restorations; the only options were metal alloys. Today, dental restorations are made out of materials that offer many practical and aesthetic advantages over conventional alternatives. When comparing zirconia versus traditional porcelain at our Naples office, we find that Prettau® zirconia restorations are superior in terms of durability and appearance. At The Dentistry in Naples, the Drs. Cancilliere prefer zirconia dental restorations over those made of any other material, including porcelain. Porcelain restorations cannot match zirconia in terms of strength, durability, longevity, appearance, and patient comfort. The Prettau Implant Bridge protocol is totally unique in that it involves computer generated CAD/CAM designing and milling of the actual bridge out of a solid block of zirconia, the hardest material available in dentistry. The temporary bridge is also milled and designed out of special hard plastic from Ziconzahn. This step is integral to the Prettau Bridge and is unique to any other technique. This specific step allows our patients to wear the temporary (a hard plastic copy up of the actual Zirconia Bridge) for some time verifying proper function and esthetics. This dental implant protocol from Zirconzahn is time tested and proven to be the most predictable, durable and esthetic option in dentistry today. This is the future of dentistry and it’s available at The Dentistry in Naples. Inlays and onlays: These restorations are used to replace damaged areas of the biting surfaces of the molars. Dental crowns: A crown can be used to restore a damaged tooth, or it can be paired with an implant to replace a single missing tooth. Dental bridges: A dental bridge can be used to replace consecutive missing teeth. Dentures: Full dentures can be fabricated to replace all of the teeth in the upper or lower arch. Partial dentures can be made to replace a few missing teeth in the lower or upper arch.